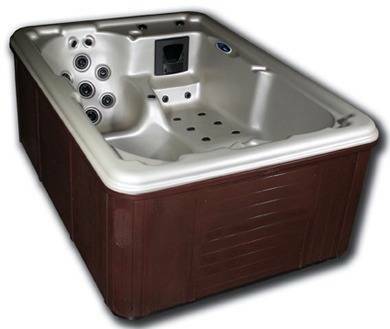 The Aurora II hot tub with a lounger and 2 seats, the shell is Soft Touch Slip Resistant Fortiflex™ HDPE and the cabinet is zero maintenance Vikashield™ the spa has 31 jets, under water lighting and a 2 speed 2hp Waterways pump. For the Aurora II we’ve almost doubled the amount of jets and increased the horsepower from 2 to 4. 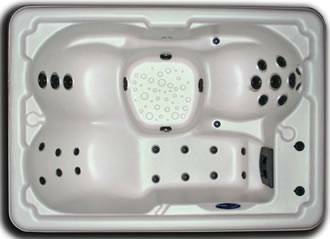 The Aurora II has a jet for almost every part of your body! For those looking for ultimate therapy in an intimate setting this spa is right for you.